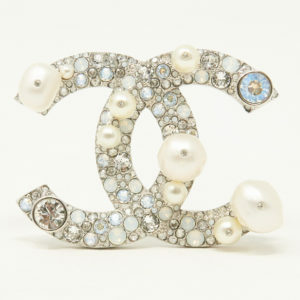 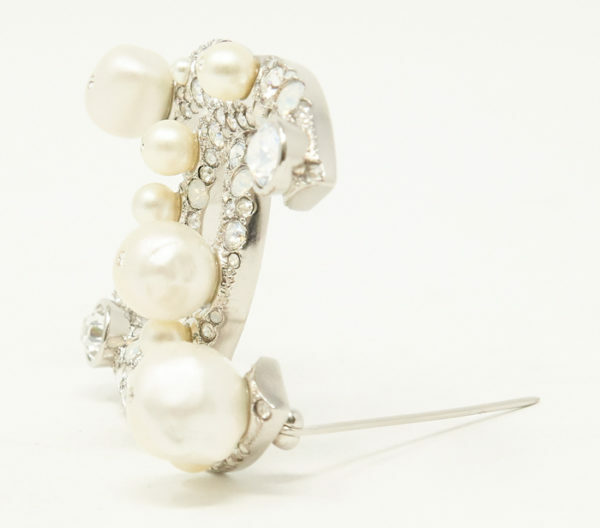 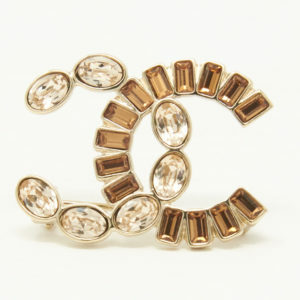 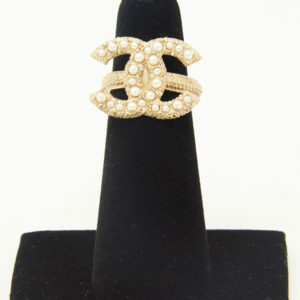 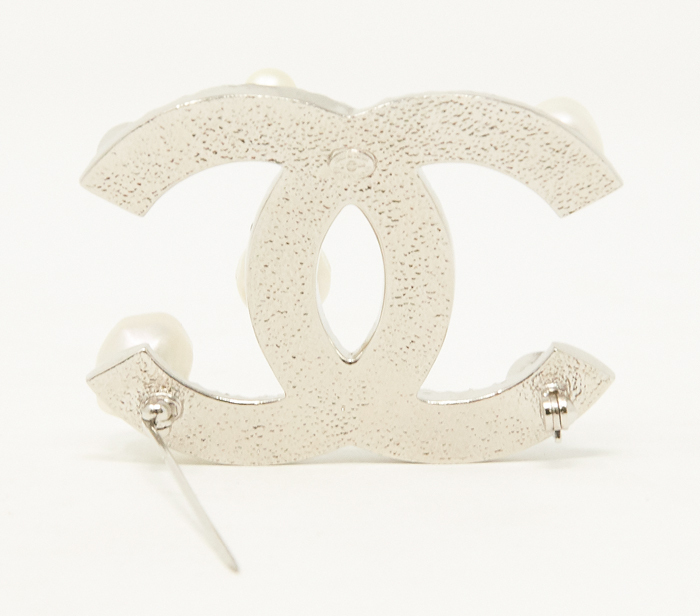 Chanel pearl and crystal logo brooch. 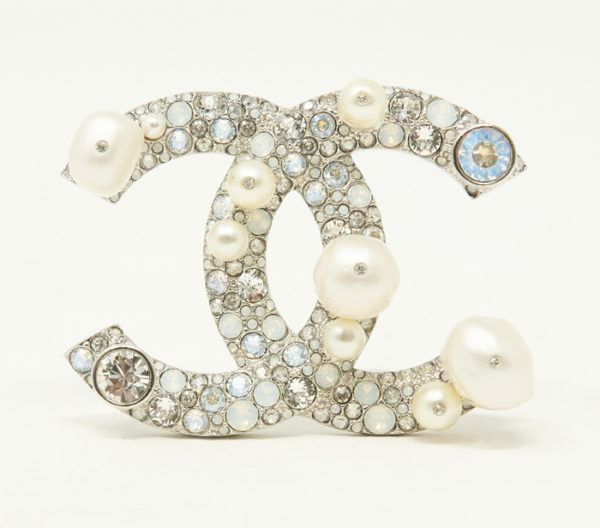 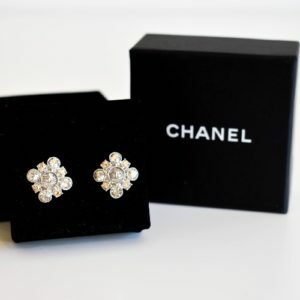 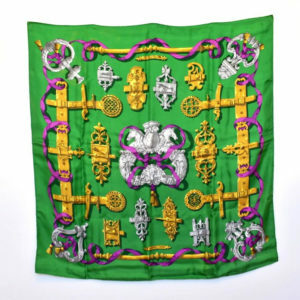 One of the “Cs” is incrusted with crystal embellishments, and the other “C” is incrusted with pearls. 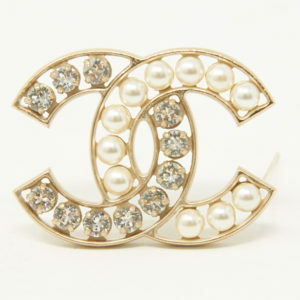 Gold outline with pin in back. 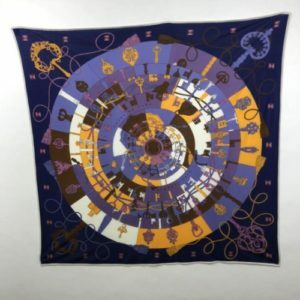 2″ L X 2″ H.